Adtech is alive and well! Ad agencies may be facing an uncertain future now that companies are looking internally to manage their programmatic ad buying, powered by a set of sophisticated tools, the likes of which were never available before without an expensive, custom solution. 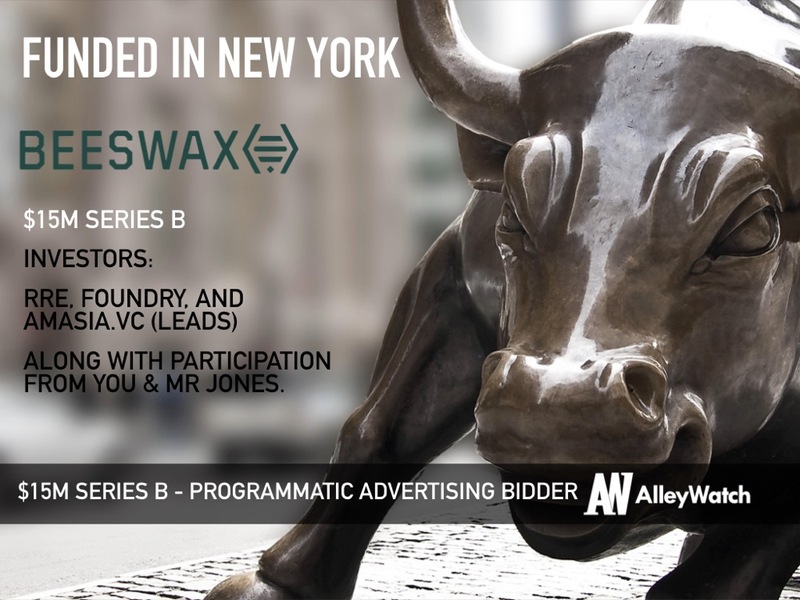 Beeswax, billed as “Bidder-as-a-Service”, is an adtech platform that can be quickly deployed and customized to fit clients’ needs to help them manage their own programmatic campaigns. Serving as an end-to-end buying system, Beeswax provides full insight and transparency into auctions, so companies can understand how to optimize their spend and ultimately reduce their dependency on advertising on Google and Facebook. 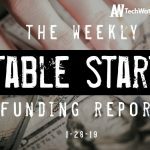 AlleyWatch spoke with cofounder and CEO Ari Paparo about the company’s origin, future plans, state of the adtech industry, and Beeswax’s recent funding, which brings the total funding amount to $28.3M across three rounds since its founding in the fall of 2014. We’ve secured $15M in Series B Funding led by RRE, Foundry, and Amasia.vc along with participation from You & Mr Jones. Tell us about the product or service that Beeswax offers. Our Bidder-as-a-Service provides sophisticated advertisers with their own programmatic advertising bidder, giving them the transparency, flexibility, and control they need to get the most out of digital advertising. Beeswax’s technology allows advertisers and media companies to combine and customize best-in-breed solutions from the programmatic ecosystem into a seamless whole. This unique approach gives marketers optimization and data solutions that are tailored to their individual businesses. What inspired you to start Beeswax? I, along with our CTO Ram Kumar Rengaswamy and CPO Shamim Samadi, realized early on that if you’re someone that’s trying to innovate in the advertising space, using someone else’s technology is going to lead to a disadvantage. We kept talking to startups and smart advertisers who were using a platform that worked but couldn’t get an edge. All they knew is they had a bunch of dials to turn. Sometimes it worked, and other times it didn’t. We also heard stories about it costing some companies nearly $1M to build their own bidder. They’d have their best engineers on it for a year and in the end, it didn’t really work. One company, in particular, built a bidder that produced negative lifts when they turned it on — it de-optimized their ads. It was producing worse results than the baseline, than if they had just bought on Google. Although it was fixed eventually, it was another three months of intensive work. By observing all of these industry challenges, we developed our technology which offers a cloud-based bidder that can be spun up quickly, with the ability to build in extra components as desired. We also opted for a disruptive pricing model, where smaller customers are charged a percentage of their ad spend, and larger companies will pay flat fees based on their CPU and data usage. While some marketers today are handing off their programmatic ad buying to tech companies or ad agencies, many of them are now looking to handle some or all of this internally, which is where our solution comes in. Our Bidder-as-a-Service technology is designed to let advertisers essentially lease ad-buying software, while also fully customizing it. That means that instead of teaming up with an ad-tech firm and using the same “demand-side platform” technology that every other customer employs, Beeswax’s partners can write their own algorithm, manage their own contracts with suppliers, and get access to as much data as they want, making it much more unique than other products on the market. How has the adtech space evolved since the early days of Google and Doubleclick? How can they ensure they’re bidding in fairly-priced auctions? This is precisely why we’ll continue to see advertisers bring their programmatic strategies in-house and define the future of this vertical. It ultimately allows them to understand exactly what’s happening across the entire bid stream and optimize accordingly. These advertisers are able to not only ensure brand safety and fraud-free transactions but also continually increase their ROAS on every bid. What trends will define the future of this vertical? Programmatic ad spend has grown as a major channel for most advertisers and will only continue on this path. As this trend continues, advertisers will become closer to their programmatic strategies — demanding full insight into and control over every aspect. This is essentially the conversation we’ve been talking about when it comes to in-housing programmatic. What market does Beeswax target and how big is it? We currently have 75 customers from industries such as consumer goods, business-to-business services, and media. Clients include Amazon.com, streaming platform Twitch, Foursquare, Vivendi SA’s Dailymotion, Cognitiv, Tresensa, and Iotec. Beeswax charges its customers flat monthly fees for the technology we offer. Fees range from $10K/month up to over $100K /month, based on the capacity of the bidder we deploy. Despite the great progress we have made in growing our business, the funding process was not easy. There is a lot of negativity around adtech in the investment community due to some poor-performing public companies in the sector, as well as a general fear of competing with Google and Facebook. However, we were able to generate a good deal of enthusiasm with our SaaS model and ultimately had more than one term sheet to choose from. Definitely, the anti-adtech bias was the biggest factor. In fact, to lighten the mood a bit during our pitches we made our first slide literally say “OMG, I can’t believe you’re pitching me an adtech company!” Folks thought that was pretty funny. Beeswax is coming off a phenomenal year of growth in 2018, with major customers adopting the solution and revenue growth of over 150%. Unlike all other ad tech companies, Beeswax is a SaaS company, charging our customers flat fees based on annual contracts. The growth, combined with the sustainable, predictable model, is exactly what investors are looking for. We plan to use the investment to double headcount this year in the U.S. and Europe and potentially hire its first employees in the Asia-Pacific region. Beeswax will also invest more in its products, including in newer growth areas such as advertising via web-connected TVs. Not every startup needs VC money, and the timing and amount of financing should be tailored to your business model. 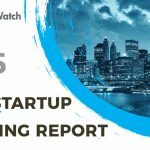 New York startups tend to be scrappy and business savvy, so the focus should always be on the metrics that drive the business, the cash burn, and the runway. We are building a big, scaled software company focused on advertising. The programmatic advertising business is estimated to be over $20B, and there’s a lot of room for companies that execute well to capture a part of that. Momofuku. Love the pork buns.